The Wildcat by itself is a very useful UTV as it can serve many purposes. The vehicle can travel over all kinds of terrain with ease from sands to shallow streams. However, why not expand its usefulness to match its namesake? 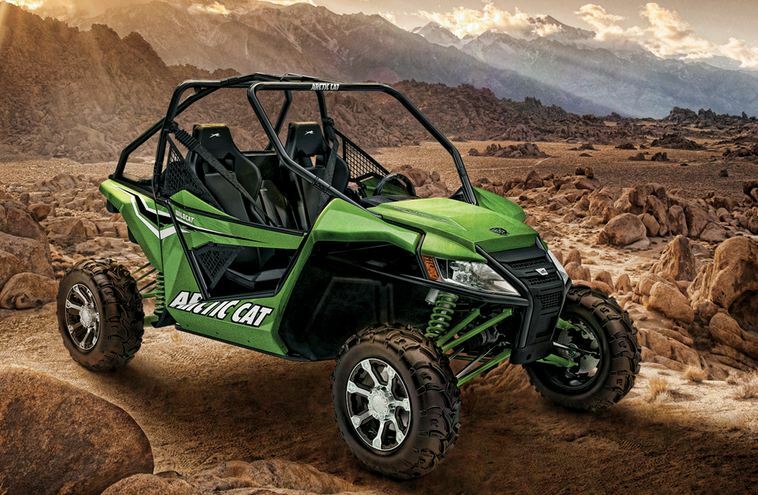 After all, shouldn’t an Arctic Cat peel through the snow as it does in the fields? While its standard and snow tires can do a decent job of getting you around in the winter, treads and sleds may be far more viable. With a little help from SnoCobra, you can quickly convert the Wildcat to manage the snow using the ski and track system offered by Side By Side Stuff. It’s a well known fact that track vehicles are more dependable in the snow than even the most powerful of trucks equipped with snow chains. Attaching the skis to the front tires and the tracks for your driving force, the Wildcat can be just as wild in the snow as it is in the sand. Two different versions of the kit are available to accomodate light UTVs as well as heavier models. This is the primary difference between a 98-inch track style and its 116-inch counterpart. The smaller treads are used for lighter UTVs in less snowfall for general utility work. The longer tracks provide heavier vehicles with the capacity to handle deeper snows. Why keep the Wildcat in the garage during the winter if it can handle the terrain to accomplish your objectives? Snow isn’t the only obstacle your UTV can ignore by using the available tracks. Spring and fall months are usually quite wet and muddy. If the terrain is too slick for tires on your Wildcat or Prowler, the tracks could be an essential piece of equipment. Even the most difficult and slimy of terrains can be overcome with the right vehicle. Adding tracks to your UTV can make sure that you are still mobile regardless of what the weather sends your way. It’s never too early to start planning ahead. By purchasing the ski and track system now, you save yourself time and hassle by having your Wildcat or Prowler ready for the bad weather. Shipping could postpone your use of the UTV which could put you behind schedule depending on your usage. Whether the Wildcat serves as an entertainment vessel or it’s an integral part of your profession, provide versatility by ordering your own ski and track system.